This section is dedicated to children's health both physical and mental and to keeping children safe. We support the local authorities new initiative called NewMe. This is not an endorsement of their activities. At NewMe kids Active Alfie is here to help show how important it is to move more, so wherever you see him, you know it’s about getting active. right foods is really important, especially for growing bodies and developing minds! Make sure you check back often, as there is new content being added all the time. We believe that children's physical and mental health is paramount to their learning and are piloting The Daily Mile with our Year 3's. We hope to roll it out across the school eventually. We work together with Barking & Dagenham Young Carers, to support children who care for a relative. They may live in a family where someone is affected by a long term illness, disability, mental health issue, alcohol or substance misuse or HIV. Poor mental health among children and young people has been described as an epidemic and an "escalating crisis". Year 5 children have the opportunity to take part in the bikeability program. This is run through an outside provider. For school Bikeability courses children will be asked to bring their bikes. Training is usually split across a number of sessions in one or more weeks. Bikes need to be in a roadworthy condition. The Highway Code’s ‘Rules for cyclists’gives guidance on roadworthiness but, as a starting guide, the bike should be the right size for the trainee, have pumped up tyres and two working brakes. Some Bikeability providers offer loan bikes for trainees who don’t have a suitable bike available – check with the school or Bikeability provider to see if bikes can be provided. For individual courses, the instructor and trainee agree a plan for the training session and agree a meeting point. Trainees should tell the instructor what they want to learn to make sure they get the most out of their training. 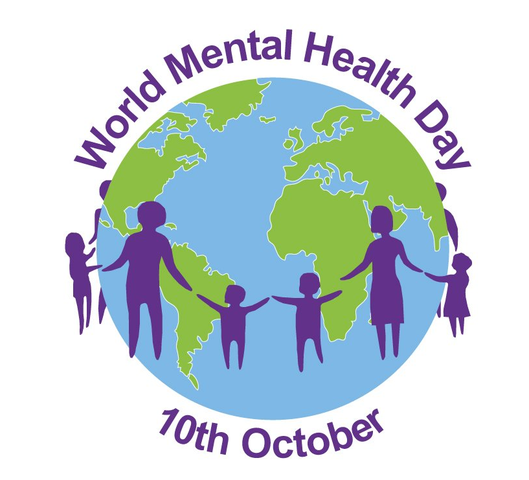 World Mental Health Day (10 October) is a day for global mental health education, awareness and advocacy against social stigma. It was first celebrated in 1992 at the initiative of the World Federation for Mental Health, a global mental health organization with members and contacts in more than 150 countries. There is a lot you can do to look after yourself. In this section of the website you can learn how to spot when you are in danger; these are called your early warning signs. You can also learn more about being assertive; this is when you stand up for yourself without being mean. A technique called STOP THINK GO that you can use in tricky situations to help you see your options and make a safe choice. Do you know how to stand up for yourself without being mean? click here to learn how to play the sausage game where you practice your assertive face. Do you know how to make safe choices? Click here to learn Stop Think Go – a problem solving technique. Well-being is another name used to describe how we’re feeling in different aspects of our lives. Use the Stop Think Go technique to help you make the tight choices to improve your wellbeing. Remember if you are being bullied it isn’t your fault and there is nothing so awful that you can’t speak to someone about it. Talk to a trusted adult at home or at school. Don’t reply to any nasty messages you receive. Don’t reply to a text from someone you don’t know. Keep the messages you have been sent so you can show them to a trusted adult and make a note of the time and date of the messages or calls you receive. Don’t answer calls from withheld numbers or numbers you don’t recognise, let it go to voicemail. Block numbers from people who are sending you nasty messages. If you are bullied repeatedly can change your number. Don’t give your mobile number to someone you don’t know. Don’t send pictures to someone you don’t know. Make a note of dates and times you receive bullying messages, as well as details you have of the user’s ID and the url. So what does peer pressure mean? This is when someone your age (a peer) pressurises you (pushes you) to do something – that may make you feel ok about it, but it also may not. Our friends and the people around us at school influence us – positively and sometimes negatively. So the question is how to deal with peer pressure and remain cool as a cucumber? 1) Stop – how are you feeling? Do you feel safe, comfortable, certain about the request? 2) Think – what are your options? what are the consequences of these options? 3) Go – make the choice which makes you feel safest, happiest and calmest. – Pretend to get a phone call from your parents. – “Remember” a date you were supposed to be going on soon. – “Realize” how late it is and say that you’re super tired from not sleeping well the night before.